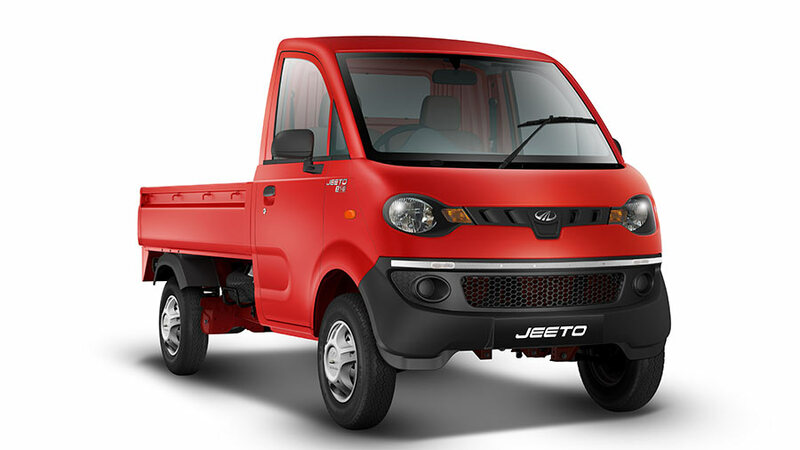 Mahindra & Mahindra Ltd., a part of the US $19 billion Mahindra Group, today announced that its mini truck, Jeeto, has completed two successful years on Indian roads. To commemorate this milestone, Mahindra is offering customers a special anniversary deal on the Jeeto which includes easy down payment options and accident insurance cover of Rs. 10 lakh. The Mahindra Jeeto has gained market share of 22.1% in the < 2T SCV 4 wheeler load segment and has further cemented Mahindra’s position as the leader in the small commercial vehicles (SCV) segment. The Jeeto also grew by 25% in FY2017 in an industry segment characterized by flat growth (LCV< 2 ton segment) that was otherwise flat in its growth. With superior product performance, lower maintenance, best in class mileage, modular features and the promise of 30%* higher profit, Jeeto has scored highly over its nearest competitors. These factors have resulted in 50,000+ happy customers across the country. It is also noteworthy that the Jeeto received the ‘CV of the year award’. The success of the Jeeto over the past 2 years is a testament to Mahindra’s focus on developing customer centric, class leading offerings. A game changer in its category, the Jeeto has created significant disruption in its segment with its modular range of 8 mini trucks which offer a superior customer value proposition. Today, our customers appreciate the Jeeto’s promise of higher mileage, higher earning potential and car like comforts. Going forward we will continue to partner with our customers in their endeavour to progress and prosper in life. The Jeeto has recently evolved in its capabilities with the introduction of DiGiSENSE – a revolutionary technology that has increased the vehicle’s connectivity levels. This technology allows owners to access vital information about the Jeeto remotely, improving the vehicle’s overall efficiency and productivity. Since its launch, the Jeeto has been a game changer in last mile distribution with its modular range, unmatched versatility and superior efficiency to haul goods across different segments. The Jeeto has been designed for refined performance and delivers fuel efficiency of up to 33.4 km/l. All these, along with strong customer validations have also resulted in the brand receiving the Apollo CV and SCV of the Year Award. Going beyond the product’s performance, the Jeeto is a popular vehicle that features in the Make in Telangana video and has received an excellent response from captive customers. Being highly suited for urban waste management, the Jeeto also bagged an order for 2,000 vehicles from the GHMC (Greater Hyderabad Municipal Corporation). Amazon has also chosen the Jeeto as its preferred vehicle for its two wheeler upgrade program. Mahindra MOJO Trail Calendar 2017 – 2018 is Here!